Today, cyber attacks mostly target large corporations and their databases, including emails. Company emails are one of the most frequently targeted categories because they usually hold sensitive information that the hackers yearn to get their hands on. The information obtained from emails is often used to disclose company secrets to rival companies that could devastate a business. Many emails contain sensitive and private information about employees including their credit card numbers and social security number details. In the important effort to protect company emails, here are ten tips for protecting all emails belonging to a company. One of the most crucial ways to secure company emails is to train employees in the latest trends in data protection. Inform your employees about any behavior that could put the company at risk. Make sure that they follow all safety procedures in place to keep the email safe from cyber attacks. Another safe practice to use when protecting company emails is to delete emails that are no longer needed. The inbox is usually filled with hundreds of emails every day. The best approach to keeping the email safe is to save the emails that contain sensitive information about the business, its clients, suppliers and products in research and development. Such emails must be kept safe from data theft and hackers. The best method is to save such emails on a separate device for protection. Once the email is safe, delete the original email from the inbox and the junk or deleted folders as well. Using encryption to protect the data in company emails allows companies to have complete control over sensitive information. 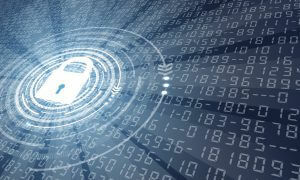 Encryption is useful for preventing data theft during a cyber attack. Using encryption is the best method for keeping the information about the employees, the business operations, and its clients from data theft. Encourage your employees to use strong passwords that contain a unique combination of letters, numbers, and symbols. The password must be 8 characters long or more for added security. The stronger the password of an email account, the harder it will be for hackers to get into the system and steal information from emails. When accessing company emails, make sure that no one is using an external network to gain access. Company networks are usually protected and encrypted, therefore, it is much safer to use the company’s local network to access the emails safely. External networks are vulnerable to cyber attacks as it lacks the necessary security protocols for safe data transfer from one device to another. Being on a secure network will make it hard for the hacker to steal data from company emails. To keep the company emails safe, it’s always better not to share all of the sensitive information with others. Keeping the company’s email address for corporate use only will be a major step in protecting the company emails. Never use the corporate emails for online shopping or any kind of online subscription that requires an email. Always be cautious about the password of the corporate email that you use as an employee of the company. Keep changing the password every few days and try not to have the same password for every other email account. Resetting your password regularly will keep the emails protected, making their access to hackers difficult. The best approach in protecting company emails is to train employees not to open email attachments from unidentified sources. Hackers usually try to send Trojan viruses hidden in a seemingly innocent attachment. The Trojan virus or a key logger can have devastating effects on the safety of the emails and the entire corporate data. Company emails should be used for inter-company communications and not for expressing private sentiments to friends and family. Avoiding using the corporate email account for personal use can help prevent accidentally leaking company information to outsiders. Malware can gain access to the inbox and employees can accidentally download dangerous malware that could infect the entire network system. It’s better to hire expert services for protecting emails and data contained in them to keep it safe from hackers. Protection of company emails is a major task for any company. Effectively protecting the emails of the company will be useful in protecting the identity of the employees, business operations, and the entire clientele of the company.